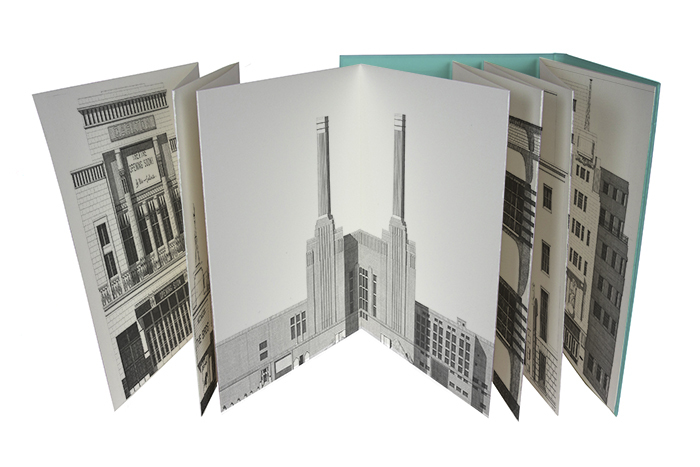 New from publisher Nobrow is an intricately detailed illustrated review of London’s Art Deco buildings. 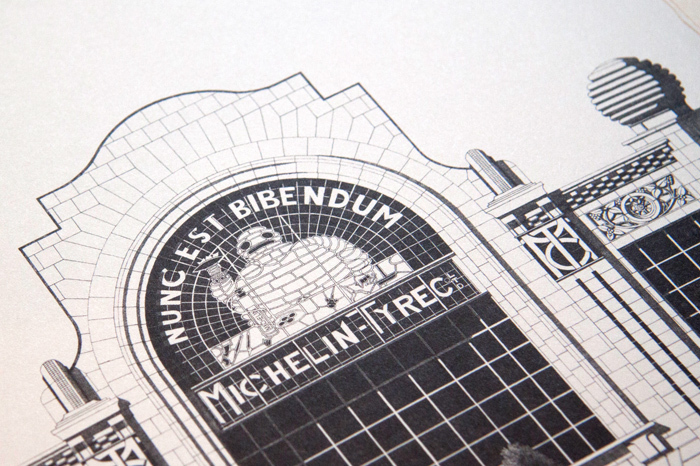 London Deco, by architectural illustrator Thibaud Herem, presents 11 facades of London Art Deco gems. There are well-known buildings such as Val Myer and Watson-Hart’s BBC Broadcasting House – with its Eric Gill reliefs – and more obscure examples like Wallis, Gilbert and Partners’s Hoover Factory in Perivale. 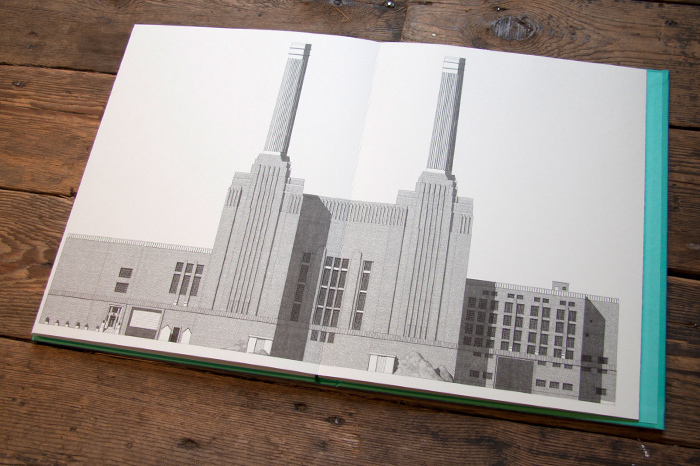 Sir Giles Gilbert Scott’s Battersea Power Station – one of London’s most monolithic examples of Art Deco – gets a spread to itself. The superbly detailed drawings are the result of 1,200 hours of painstaking illustration by Herem. 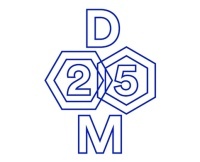 London Deco was drawn in its entirety with a Rapidograph black ink pen. 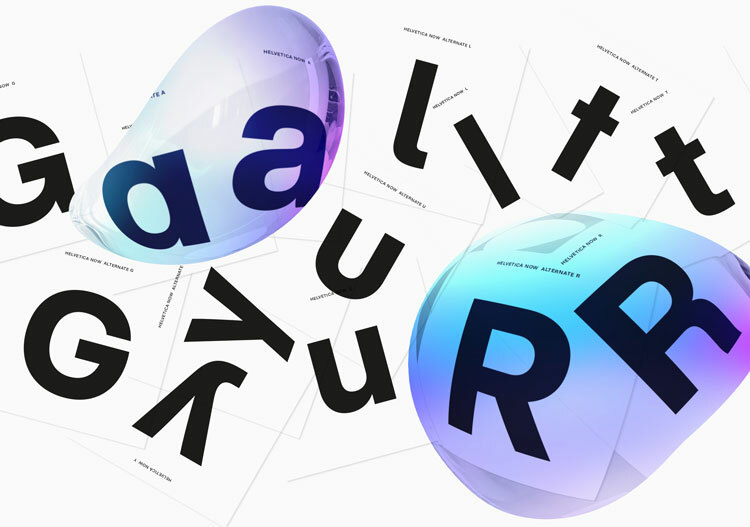 The book is printed in a Leporello concertina – so the 11 illustrations can be pulled out to create a 3m-long frieze. On the reverse side of each illustrated page is a description of each building, revealing when it was designed, and by whom. 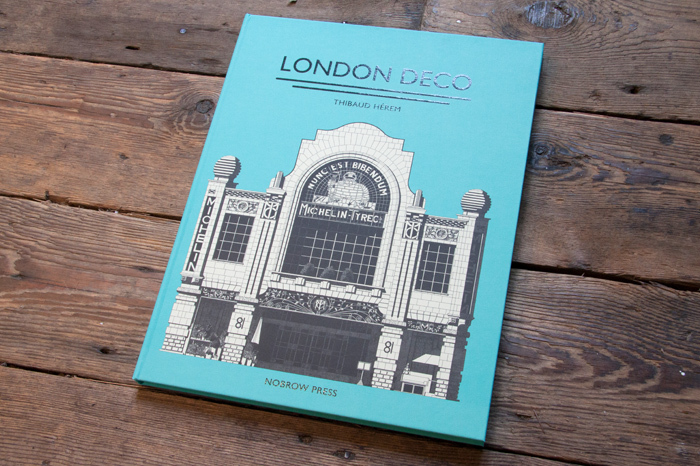 London Deco, by Thibaud Herem, is published by Nobrow priced at £25.